The Fraternal Order of Police is the world’s largest organization of sworn law enforcement officers, with more than 325,000 members in more than 2,100 lodges. The Fraternal Order of Police Lodge #1 Delaware represents officers from the Wilmington Police Department, Elsmere Bureau of Police, New Castle City Police Department, and the Newport Police Department. During the recent Fraternal Order of Police National Conference in Pittsburg, PA, Cpl. Dennis Leahy of the Wilmington Police Department quickly came to the aid of Retired Police Officer Frank Buza of Montgomery County, PA who unexpectedly suffered a Sudden Cardiac Arrest (SCA), a life-threatening condition in which the heart stops beating without warning. After receiving cardiopulmonary resuscitation (CPR) and one shock from an on-site AED, Buza’s heart was restored to a normal rhythm. The unit donated by HeartSine will be installed at the Fraternal Order of Police Lodge #1 in Wilmington, which hosts regular meetings that draw hundreds of law enforcement officers. 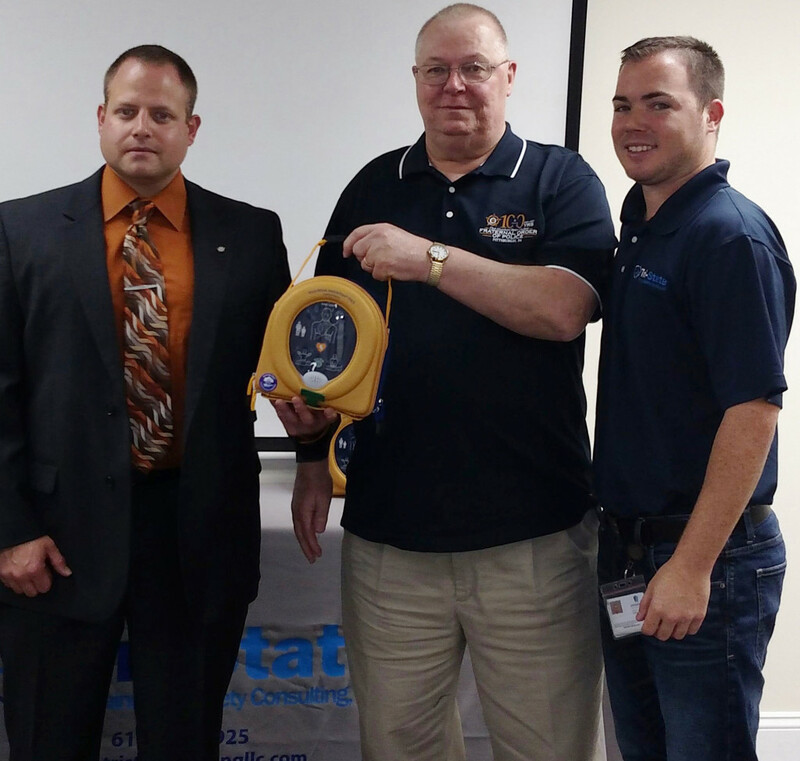 HeartSine’s Authorized Distributor, Tri-State Training and Safety Consulting, also has donated a SAM 350P to the Montgomery County, PA Fraternal Order of Police Lodge #14, which covers 47 police departments in Montgomery County. The AED will be used at all of the Lodge’s monthly meetings, special events, conferences, and conventions.